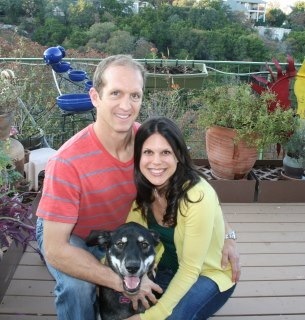 Day 8 of the 30 day challenge is to talk about a time in your life when you were most satisfied. There is definitely one day that stands above the rest. 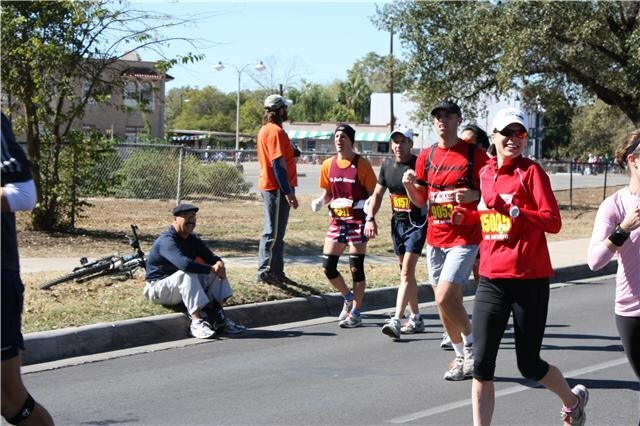 It was November 16, 2008 and it was the day I ran my first marathon. I trained long and hard. I followed a 17 week training program and I followed it exactly. I did everything I was supposed to do and followed all the rules. I wanted to run a marathon and I wanted it bad. I was determined and I let my determination push me on my long 18. 20. and 22 mile training runs. Keep in mind that I live in Texas and the majority of my training took place over the late summer where it was still 100+ degrees every day. I didn’t care. I had one goal. I wanted to finish this marathon in under 4:00 hours. I thought of nothing else and I willed it. And I did it. I ran the best race I was capable that day and I crossed the finish line in 3:50:05. I was thrilled. I cried. I was satisfied. I had done it. I set a goal. I worked hard for that goal. And I smashed that goal. That day I was probably the most satisfied I had ever been (with myself) in my life! It directly proved me to what hard work can do! What is one moment in your life where you were the most satisfied? My first marathon was the same. Such a great day! Woo hoo! Such a great feeling! I think that smashing race goals is one of the most satisfying feelings that there is. What an inspiring story Kelly!! I know it sounds silly, but a moment when I felt very satisfied was last year when I threw Jason a bday party for his 30th birthday. I am super shy and have a hard time with parties, but I did it anyway because I knew Jason would love it and he did! It made me feel good about myself, which sounds lame writing it out, but if you knew how much I beat myself up you might be impressed! That is great Holly!!! It is your moment and that is all that matters!! That is such an awesome story! I’m going to start training for my first marathon at the very end of June and I hope that my training can go just as well as yours did. Wow! 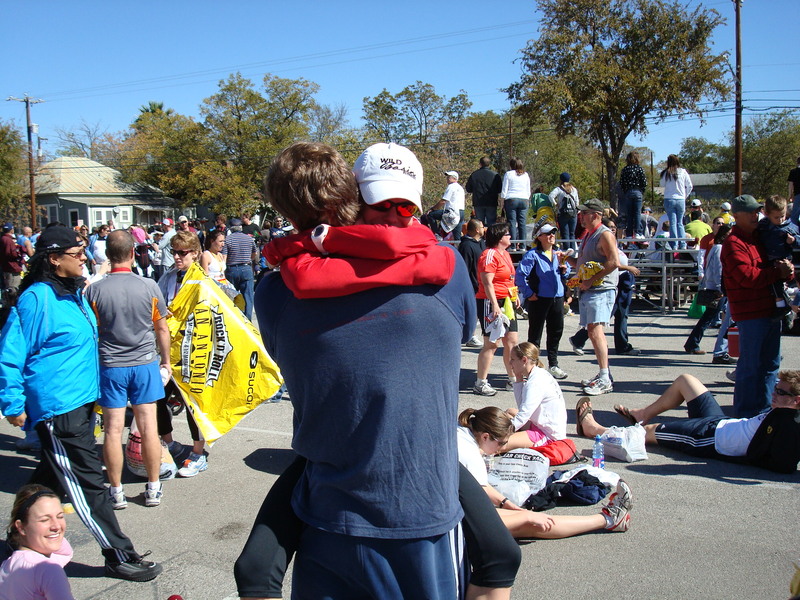 Way to not only finish your first marathon but totally dominate your goal, too! I got teary when I finished my half. 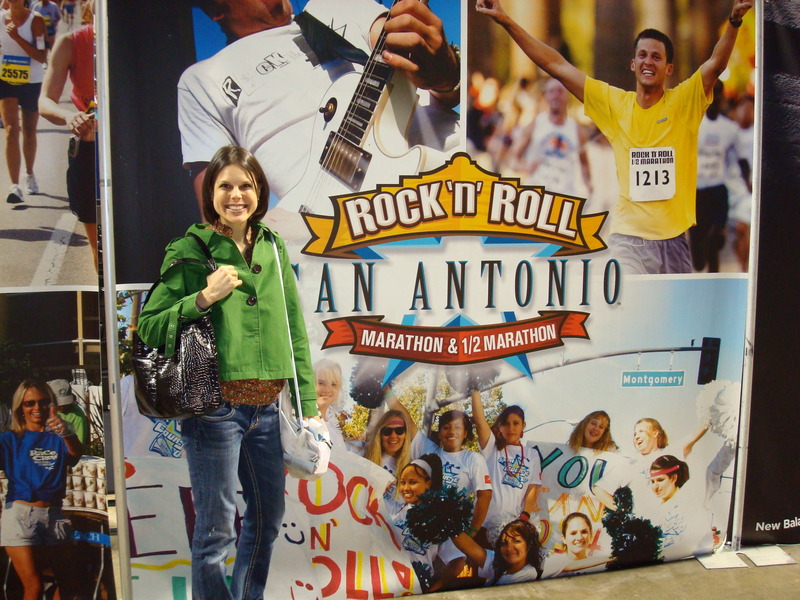 How did you like the San Antonio Rock n Roll race? I’ve thought about doing it. It is really a good race. The course is pretty flat (few rolling hills but nothing insane) I have run the half several times since the marathon and it is fun. Very well organized and good crowds. oh i love this! 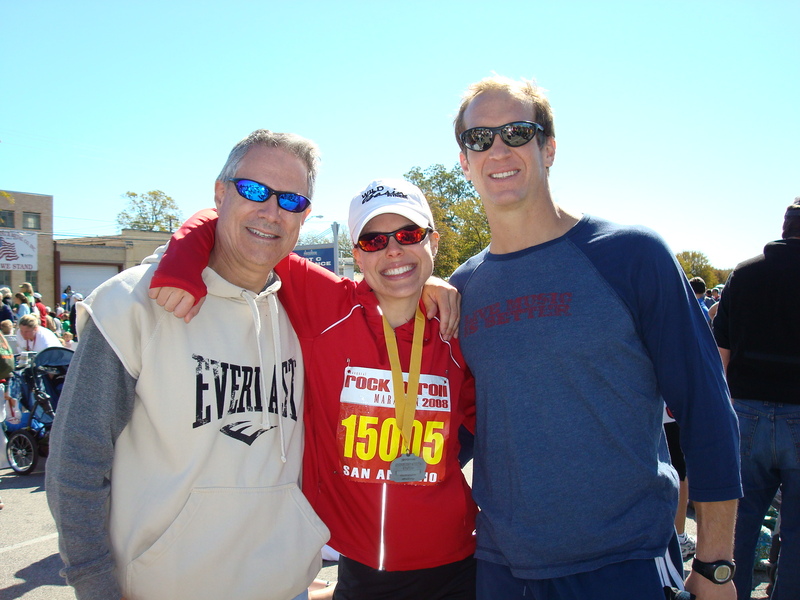 congrats on running such a great race and yes you should be proud for sure………have a great weekend kelly! You are amazing. Congrats, and you deserve to be so proud! Awesome. I think I was most satisfied with myself when I finally quit my job, packed up, and moved to VA. I remember that race and that day. You did everything right, followed the plan, attacked it…you were/(ARE) a rockstar!! Love you!! 3 satisfying times for me have happened this year: 1) When i graduate from LPN School in January. 2) When i crossed the finish line when i completed my first half-marathon that i walked!!!!! 3) When i found out that i passed my nursing boards!